Very simple question. 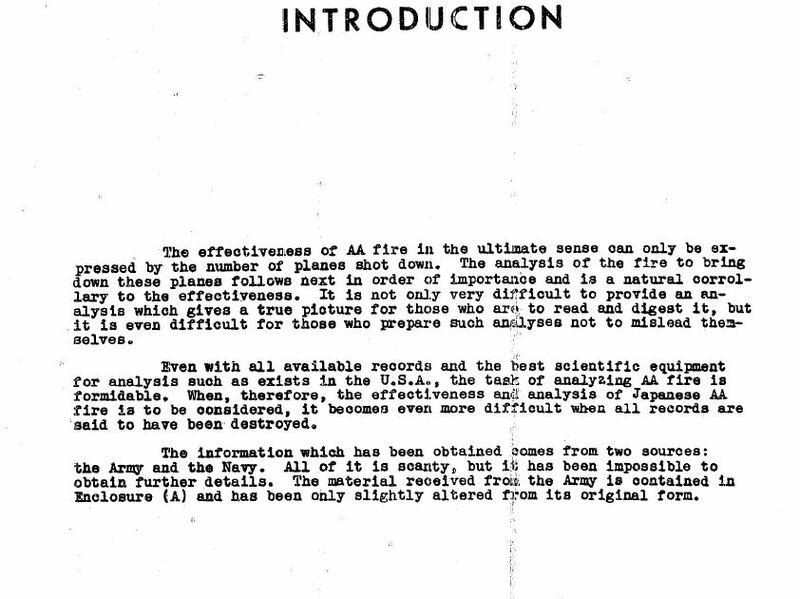 Does anyone know of any sources regarding IJN AA weapon effectiveness? Something a long these lines or any information for that matter. Thank you, still looking for a specific breakdown of real world effectiveness is possible . If the Japanese did indeed keep such records I very much doubt they survived the war. Needless to say there would be a very high expenditure of rounds per plane. They lacked most of the gun directors and other aids USN AAA had helping. You can extrapolate some idea of how effective (or ineffective) Japanese AA was by rough comparison to similar US weapons. The 25mm triple is about the same hitting power as the US 1.1". But, the Japanese gun has one less barrel, simple ring sights, and uses 15 round box magazines that seriously reduce the rate of fire. So, a rough starting point would be this mount is about one-third to half as effective as a US 1.1" mount would be. That's not so great. The 13mm machinegun would be about as effective as the US .50 M2 Browning. They're roughly analog to one and other. Again, not so useful on the whole for warships. The larger weapons are a bit more variable. Japanese gun directors are generally less sophisticated than US ones meaning these guns are less effective in that sense. All of the Japanese 4", 4.7" and 5" weapons use separate ammunition and the destroyer 5" uses bagged charges. These guns are manually rammed, rather than power rammed with a power loading tray like US ones are. They all have rates of fire of about one-half to two-thirds the US 5"/25 or 5"/38. They also have poorer fuze setting systems and use inferior shells, particularly the 3 Sanshiki shell that works like a shrapnel round using burning rubber incendiary "bullets". So, again, a rough starting point would put them at about 50% the effectiveness of their US equivalents. So, a starting point would be a Japanese destroyer would have roughly a third of the AA firepower of a similar US destroyer. Cruisers would have somewhere between a quarter and half of what a US cruiser could produce. 12.7 cm: The Japanese considered the Type 89 to be a good AAA weapon and it had a fast rate of fire and good elevation and training speeds, especially on the later Mods. Its primary shortcoming was a relatively low muzzle velocity and thus a short range and low AA ceiling. 10cm: The best Japanese AAA gun of World War II, whose characteristics can only be described as "superb." Their only fault was a rather short service life, the result of high muzzle velocity and a fast rate of fire. 8cm: Considered to be a satisfactory weapon with no serious problems. However, it did have a short barrel life. These are taken from the Navweap entries. A key element of a good AAA gun is high muzzle velocity. The problem with these guns is they could not be tied to the FCS or Air radar control. Which tracking almost aircraft almost impossible. One strategy the IJN fleet employed is they would fly aircraft behind the attacking planes, and feed data from that aircraft to the defending ships AA. They would also use the clouds in order to determine data for their AA Weapons. This is just to highlight that even though the gun characteristics where good. The complimentary systems where abysmal. 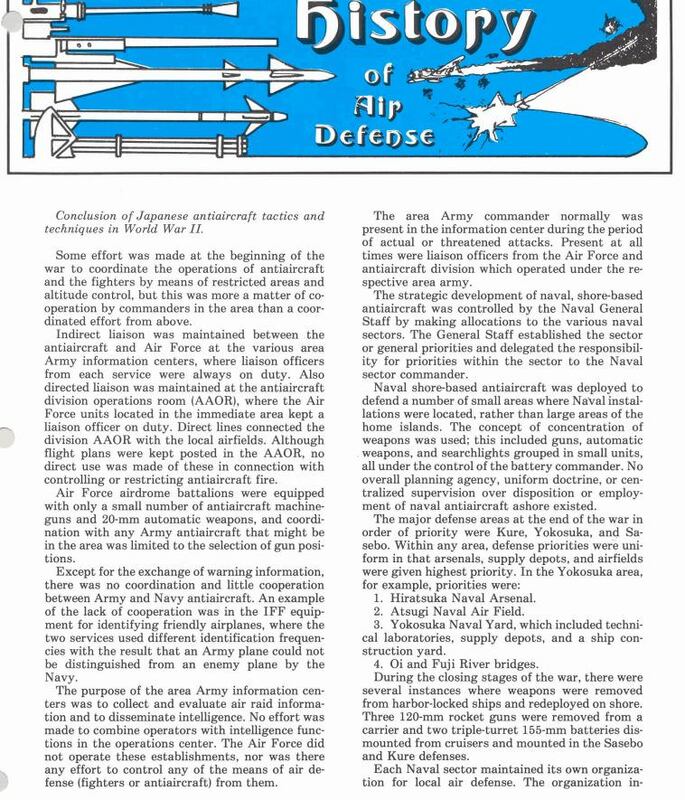 I also read that they held fire until absolutely sure they where spotted, and the late war scenarios required they conserve ammunition which would inevitably create less efficient AA. I recall that they fire 25mm past what was its truly effective range, so they wasted a lot of ammunition and had to reload by the time the plane was in effective range. 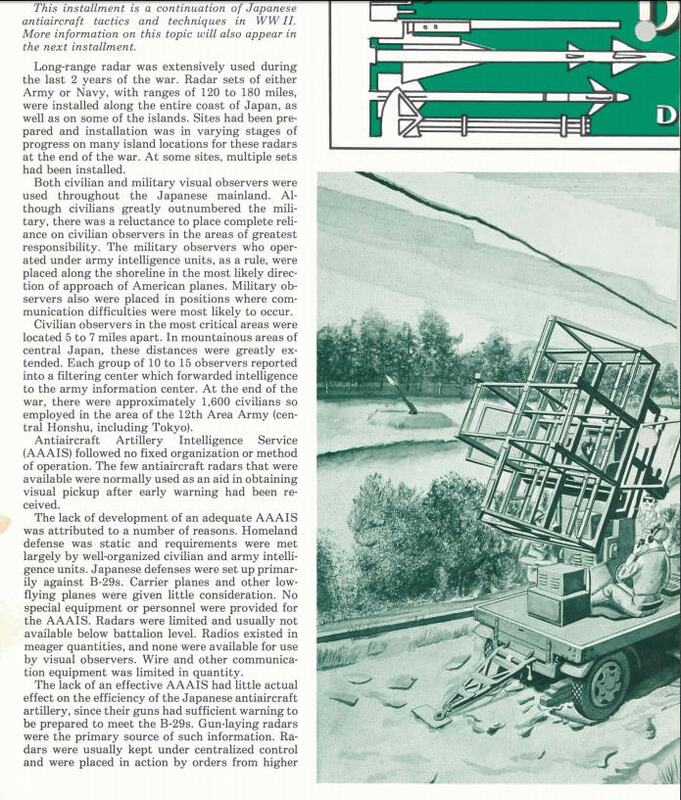 Found some interesting info from Air defense magazine 1978 / 1979 , mostly ground based though. The last slide is the one I find the most interesting. I haven't had a chance to read it all. But I put it in here for the discussion. Makes sense, thx for the suggestion. Some incorrect items on the 4''+ weapons. The 12cm/45 10th Year type AA, Type 89 12.7cm AA, 10cm Type 88, 10cm Type 98, 8cm Type 98, and 8cm 3rd year type were not separate ammunition. They were a fixed cartridge to projectile. Only the 3rd year type 12.7cm gun used on IJN Destroyers were separate with powder. As for power ramming, the Type 89 12.7cm had power/hydraulic ramming with a spring loaded system including the Type 98 10cm, Type 98 8cm gun, and the in development Type 1/5 12.7cm gun. The older 12cm and 8cm 10th and 3rd year types were however hand rammed along with the Type 3 12.7cm. The real reason why the IJN had lower rates of fire had nothing to do with the gun systems and everything to do with the lack of planning around rapid hoists near the guns. Most of the hoists didn't feed enough munitions for high rates of fire for when they were designed. The best example is the Type 89 12.7cm gun system. 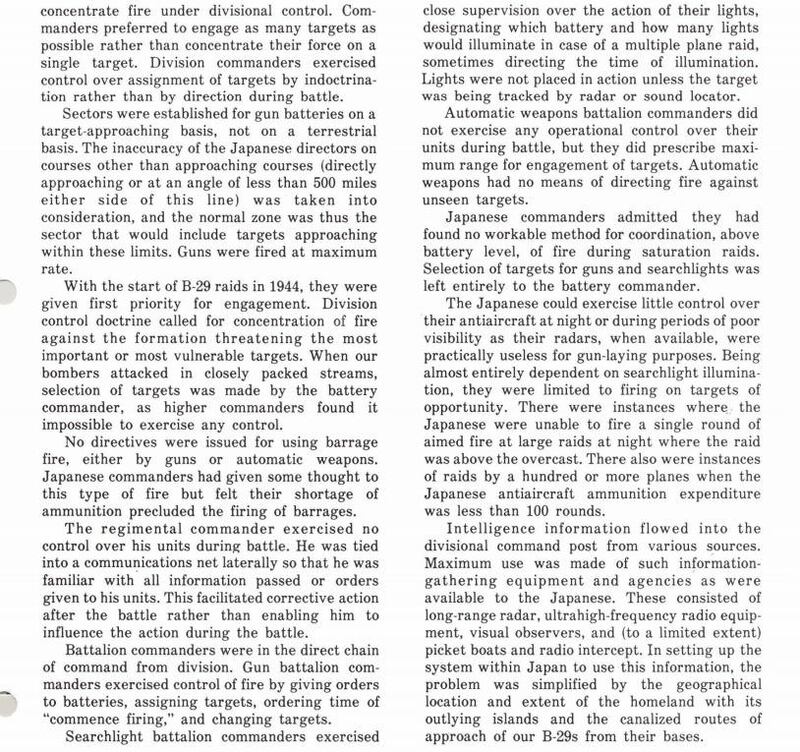 Ready ammunition in actual practice allowed the guns to fire between 18-14rpm in a quick succession burst, the best being reports taken from IJN personnel from Nagato during fire exercises. Once the ready racks were depleted the hoists were generally located up to 15-20m away from the guns at best on most systems (Yamato-class was the only exception to this rule) which means a lot of man power was having to physically run these shells to the guns. 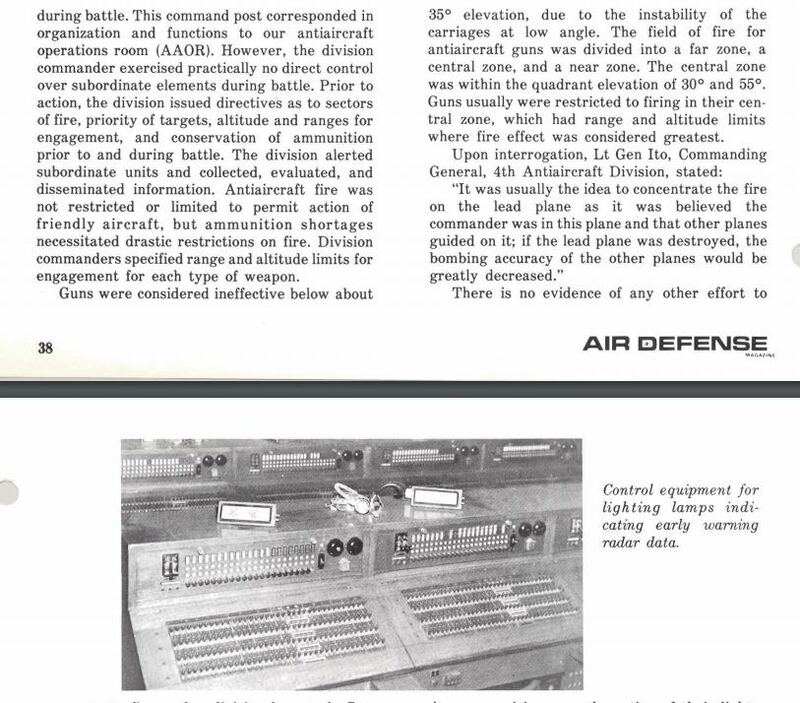 This dropped their sustained rate of fire down to 8-9rpm once those racks were drained. The biggest or worst was the 25mm gun system which even the IJN knew was by 1941 obsolete but failed to replace it due to the wartime situation. The 40mm Bofors captured from the British was heavily favored by both the IJA and IJN and one of the only times they agreed on a weapon system. The other option that the IJN Design board seriously considered as they were already producing them in 1943, were to replace the single 25mm gun mounts for the newly designed twin 20mm Type 99 mod 2 gun mounts being placed into the new G8N bomber. They had 45 round drum as well as 30 round drum magazines designed for them based off the older Mod 1 mounts for the G3N bomber. They had hoped the addition of such weapons since the 20mm runs were in common usage for the IJN Fighters to attempt to circumvent the issue of tracking fast moving targets close to the vessel which the 25mm's had issues. 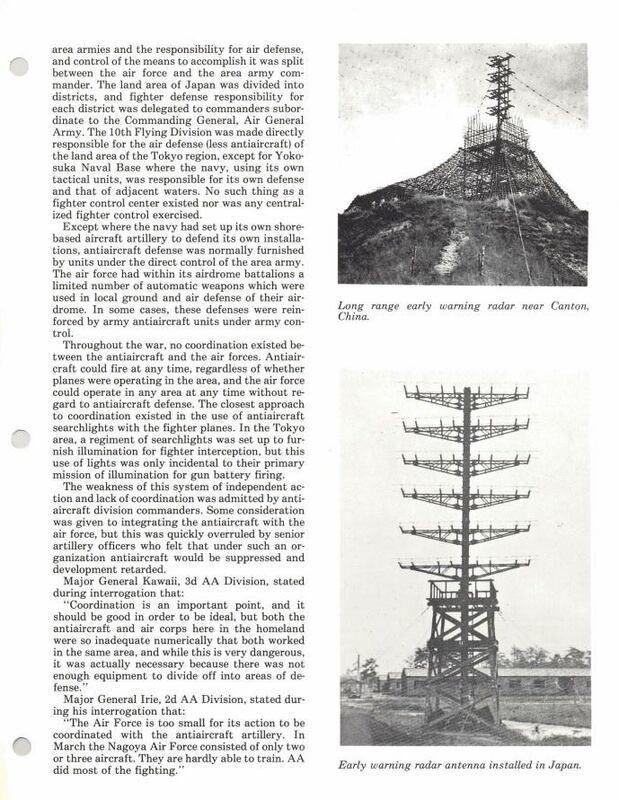 The powered and non-powered fixed pedestal mounts never came to fruition outside of fixed ones on land. The gun systems had 2x the cyclic rate of fire and 3x the ammo with the 45 round drums as well as being 2 guns on one fast moving system. There is a chance the main reason why the 20mm mounts didn't come to pass is the bombing of factory sites that were producing the 20mm guns which in turn were also needed for the Naval fighters. Hence why by 1944 the shear amount of single 25mm guns being placed all over the ships to allow better tracking of closer targets but not nearly as effective due to the limited magazines. But, in comparison to their closest US equivalents, they were really pretty poor weapons, particularly the 4.7" and 5" guns. These had a sustained ROF of about 8 rounds a minute. That's about half of what the US 5"/25 or 5"/38 could achieve. Their maximum theoretical rate was about two thirds of what the US guns could achieve. This is particularly true of the IJN destroyer 12.7 cm 50 cal that was theoretically dual purpose but as an AA gun really was little more than better than nothing. All of the above Japanese weapons used a manual loading tray with spring rammer or manual ramming. They all had separate fuze setting gear. This makes the loading cycle slower and the fuze settings less accurate than the US power ramming system where the fuze setter is integrated into the ramming gear and sets the fuze just before loading. So, while the Japanese might consider their 10cm "superb," it's no better than the British 4"/45 HA gun, inferior to the 4.5"/ 45, and definitely inferior to the US 5"/25 the nearest equivalent. A spring loaded rammer is not a power rammer. It uses the recoil of the gun generally to [edited] the spring and ram the next round. The British used a similar system on many of their 4.7" DD mounts. Yes, most of the Japanese mounts had electric-hydraulic power but that was solely for train and elevation, not to operate the loading cycle. The key factors that make something a good AAA weapon are; muzzle velocity, fire rate, and reach. 10cm had these. The only things that held her back were Fire Control and lack of an effective proximate fuse. Actually, it was the US Navy that considered the 10cm Type 98 to be "superb". Literally exact words for it in their Navtech documents. 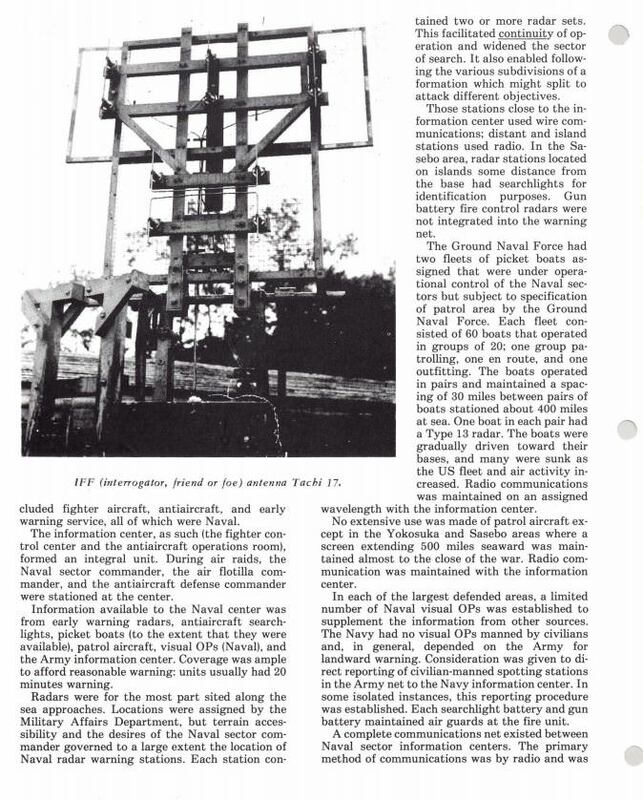 The fuse setter being directly on the breach allowing them to set the fuse right before loading which greatly sped up the cycle was considered highly favorable as it had the ability to be remote adjusted by the director and the ability to be remote power controlled. 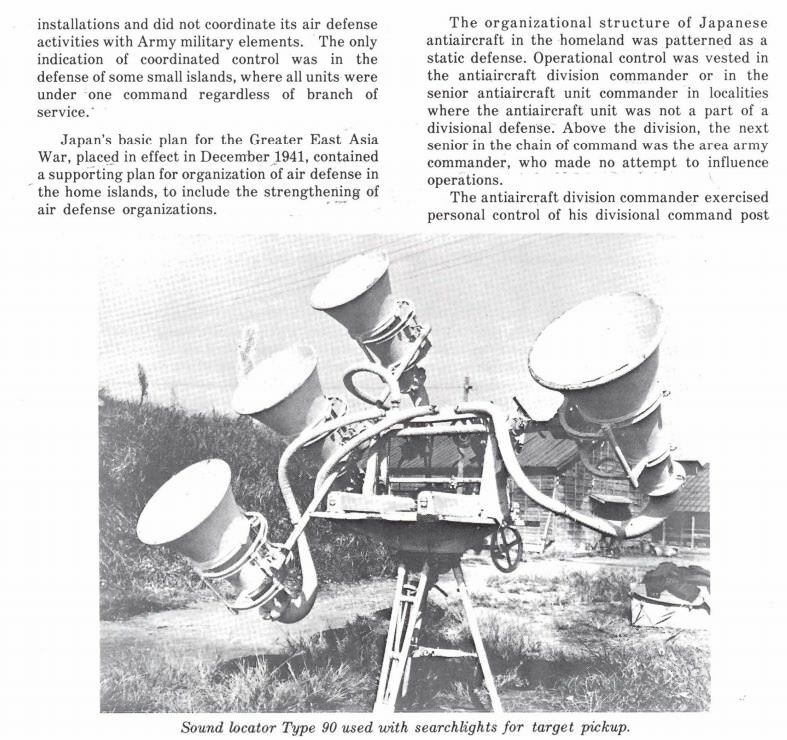 Now, the radar had to direct feed to the director the settings which is why it wasn't nearly as effective but the US Navy considered the gun to be quite well designed when they tested them, especially in their AA ceiling with rate of fire at high elevation. Hell, they went as far as to note that they were shocked the weapons weren't in wide spread use throughout the entire IJN and later remarked that their bombing campaign most likely contributed to such limited numbers of this great AA weapon. I think I found what I was looking for, and the answer for the Naval portion of AA effectiveness. Error trying to get that PDF. Here is the original link. Don't know why the attach did not work. Should work with below link. That report really doesn't tell us much. But aside from that, it isn't the gun alone here that matters, it's the overall system. That is, the gun, the loading and ammunition arrangements, the fire controls (or lack thereof), type of ammunition used, etc. If any part of that is mediocre, the system will suffer as a result. That's why I will stick to a rough assertion that Japanese AA systems were far less effective than their USN counterparts. It isn't that the Japanese were stupid or didn't recognize their issues, they did. They simply didn't have the engineering, industrial, and distribution capacity to turn out better equipment in anything approaching sufficient quantity to compete. On a ship for ship basis, I'd still say that the Japanese were somewhere between 25 and 50% as effective as similar USN ships when it comes to antiaircraft firepower. It also explained that much of the plane kills were made because the gunners held their fire until they "saw the whites in the eyes" and that the USN planes were very predictable during their attack runs. This would explain the plane kills by AA being possible at all without an effective Fire Control system. 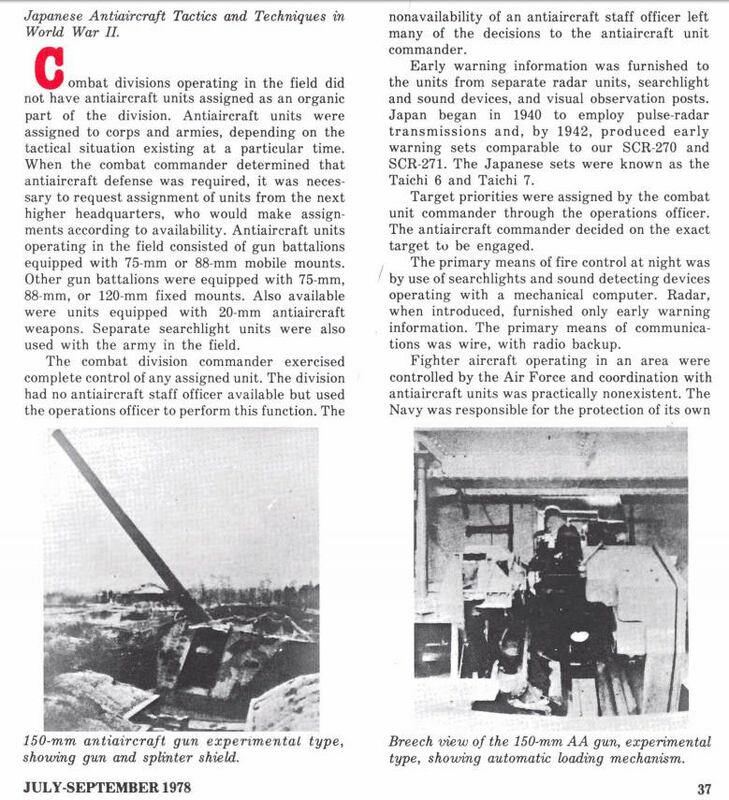 It also explained that much of the plane kills were made because the gunners held their fire until they "saw the whites in the eyes" and that the USN planes were very predictable during their attack runs. This would explain the plane kills by AA being possible at all without effective a Fire Control system. So claimed the Japanese. I doubt that worked out anywhere near as effectively as they claimed. 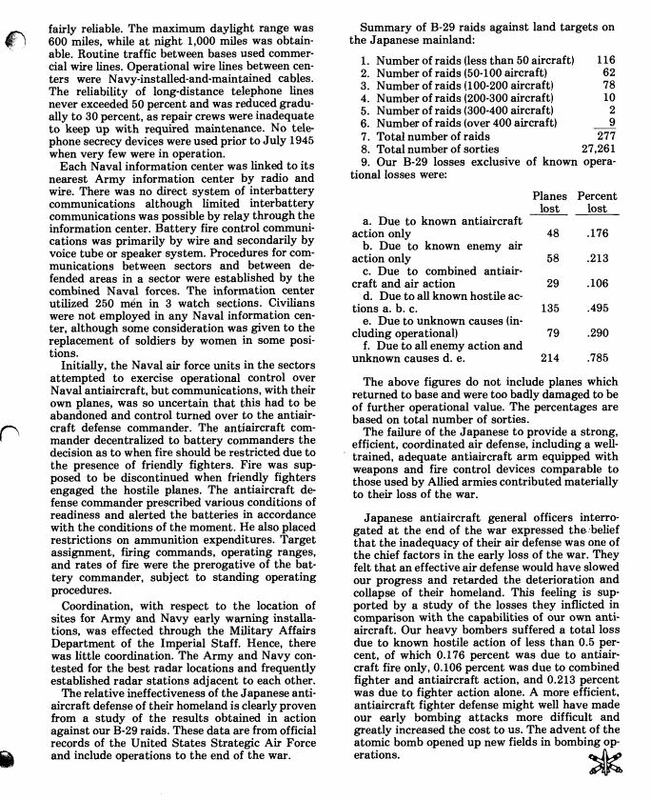 One need only look at the US data to see that there is no way that a triple 25mm could be as effective as the Japanese claimed it was. I'd put that as mere puffing and take it with a mountain of salt. I found the numbers to be quite odd. 125 rounds per plane on the 127's?... 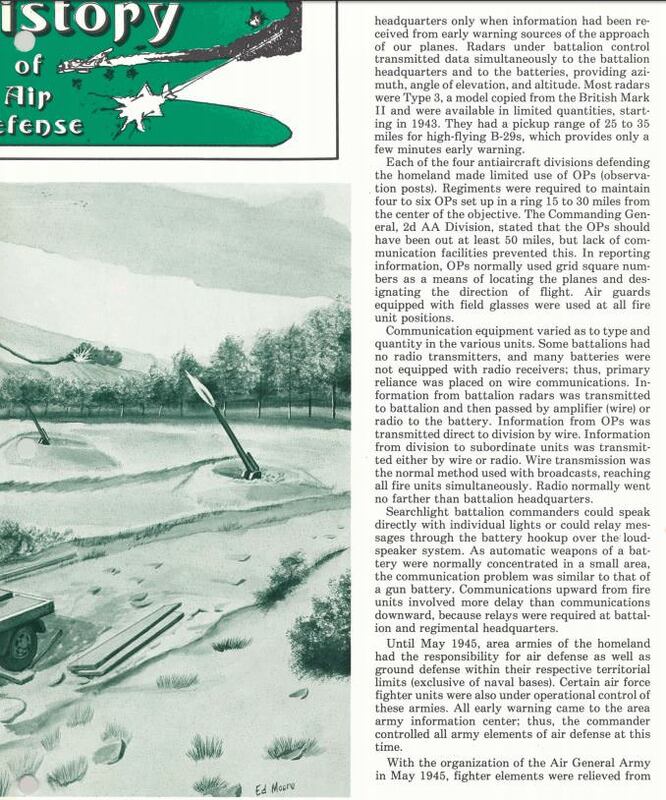 With no VT fuzes and issues training and elevating the guns? 2) that the planes were PREDICTABLE in their attack runs. That is, the planes that were shot down were not jinxing or evading. Now. DO NOTE THIS IS FROM GROUND-BASED BATTERIES.